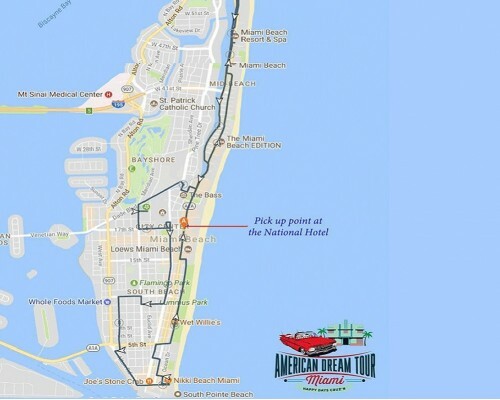 American Dream Tour, LLC (ADT) is a full service, fully insured Transportation Company under the authority of Miami-Dade County - Consumer Services Department - Passenger Transportation Regulatory Division. ADT is not responsible for delays or changes in route caused by traffic conditions, accidents, breakdowns, construction, parades, and any other conditions beyond our control. Routes and times can be changed when ordered by local authorities and will not give rise to any refund in whole or in part. Any minors must be accompanied by an adult authorized to accompany the minor. For your safety, ADT strongly advises that on all occasions our guests to stay seated with seat-belts on while our vehicles are in motion. ADT is not responsible for any items left on our Cars or that are lost during your time on our Tours. All e-mail tickets must be pre-printed before tour or clearly shown via electronic devices and be presented to Chauffeur along with proof of identity. The ADT tour ticket is valid for use only on the time and date shown on vouchers or e-tickets. All sales are final: tickets cannot be exchanged or money refunded by ADT, except as follows in this paragraph. In case of rain or inclement weather, tours in most cases will be rescheduled as soon as possible with no refund in whole or in part. However, ADT will allow that tour tickets are refundable when a refund is requested not less than 48 Hours prior to departure, less a 10% administrative processing fee. There will be no refunds issued within 48 Hours of departure date. Any complaint about an ADT tour experience must be made in writing not later than 8 calendar days from the tour date and must include the ticket receipt for that tour. Refund requests will not be considered without proof of purchase, such as an ADT Tour Ticket printed out, a credit card receipt, or reproduction of ticket from an electronic device. In the event ADT needs to cancel a tour due to circumstances within ADT’s full control, a full refund will be granted to all customers scheduled for such canceled tour. ADT chauffeurs/drivers will make every effort to maintain a timely schedule, but does not guarantee scheduling either for departures or returns from ADT tours. We may at our discretion terminate the tour of any passenger whose conduct we deem offensive or a nuisance to the ADT chauffeur/driver or other passengers, or if behaving in such a way as to constitute a risk to such passenger’s safety or the safety of the ADT chauffeur/driver or other passengers, and ADT shall have no further liability to such passenger. 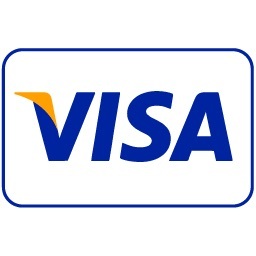 All payment transactions for ADT are handled by First Data. Your credit/debit card and related personal details may be collected by First Data in order to process your order. You agree that you are responsible for all charges incurred by Your use of the Site, including all bookings. You expressly authorize ADT and First Data to charge the credit card provided by You or listed on Your account for any outstanding fees or costs due to ADT. If the credit/debit card holder for bookings is not You, it will be Your responsibility to ensure that You have the card holder's consent before entering any related details, and that such details when entered are true. To purchase any tours, products or services using the payment method displayed on the ADT website, you must be 18 years of age or over. By utilizing ADT website, you confirm that you have the legal authority to enter the conditions of use for the website, including instructing ADT to collect any payments from a credit or debit card, and to use the site in accordance with all terms and conditions. You confirm that all information supplied by you in using the site is true and accurate. We strongly recommend that minors under the age of 18 ask for their parent's or guardian's permission before viewing the ADT website, and place any order by the parent or guardian. Unless otherwise specified, ADT grants you a non-exclusive, non-transferable, limited license to access, use and display the ADT website and the material provided thereon for your personal, non-commercial use of ordering city tours, provided that you comply fully with these Terms and Conditions. You acknowledge that this ADT website contains information, data, software, photographs, videos, text, typefaces, graphics, music, sounds, questions, creative suggestions, messages, comments, feedback, ideas, recipes, notes, drawings, articles and other materials (collectively, “Content”) that are protected by copyrights, patents, trademarks, trade secrets and/or other proprietary rights, and that these rights are valid and protected in all forms, media and technologies existing now or hereafter developed. Content or portions of Content may be copyrighted under the United States copyright laws (and, if applicable, similar foreign laws). All trademarks appearing on the ADT website are trademarks of their respective owners. Our commercial partners, suppliers, advertisers, sponsors, licensors, contractors and other third parties may also have additional proprietary rights in the Content which they make available on the ADT website. You may not modify, publish, transmit, distribute, perform, participate in the transfer or sale, create derivative works of, or in any way exploit, any of the Content, in whole or in part. When Content is downloaded to your computer (other than page caching), you do not obtain any ownership or interest in such Content. Modification of the Content or use of the Content for any other purpose, including, but not limited to, use of any Content in printed form or on any other ADT website or networked computer environment is strictly prohibited unless you receive our prior express written consent. This license does not include any resale or commercial use of the ADT website or its contents; any collection and use of any product listings, descriptions, or prices; any derivative use of the ADT website or its contents; or any use of data mining or similar data gathering and extraction tools. The ADT website or any portion thereof may not be reproduced, duplicated, copied, sold, resold, or otherwise exploited for any commercial purpose without the express written consent of ADT. You may not frame or utilize any framing techniques to enclose any trademark, logo, or other proprietary information (including images, text, page layout, or form) of ADT without our express written consent. You may not use any meta-tags or any other hidden text utilizing ADT's name or trademarks without the express written consent of ADT. Any unauthorized use terminates the permission or license granted by ADT. You are granted a limited, revocable, and nonexclusive right to create a hyperlink to the home page of the ADT website so long as the link does not portray ADT, its affiliates, or their products or services in a false, misleading, derogatory, or otherwise offensive manner. You may not use any ADT logo or other proprietary graphic or trademark as part of the link without our express written permission. Regarding the Content supplied by Users or parties other than ADT, ADT is a distributor and not a publisher. ADT has no more editorial control over such third-party or User Content than does a public library or newsstand. Any opinions, advice, statements, services, offers, or other information that constitutes part of Content expressed or made available by third parties and not by ADT are those of the respective authors or distributors and not of ADT. Neither ADT nor any third party, including any Provider, or any User of the Website, guarantees the accuracy, completeness, or usefulness of any Content, nor its merchant ability or fitness for any particular purpose. In many instances, the Content available through the Website represents the opinions and judgments of the respective Provider or User not under contract with the Website. ADT neither endorses nor is responsible for the accuracy or reliability of any opinion, advice, or statement made on the Website by anyone other than authorized ADT employees. Under no circumstances shall ADT be liable for any loss, damage or harm caused by a User's reliance on information obtained through the Website. It is the responsibility of a User to evaluate the information, opinion, advice or other Content available through the Website. Solicit, collect or post personal data or attempt to solicit, collect or post personal data about other users of the Website, including user names or passwords; or access or attempt to access another user’s account without his or her consent. Your privilege to use the Website depends on your compliance with the community standards and conduct guidelines set forth above. We may revoke your privileges to use all or a portion of the Website and/or take any other appropriate measures to enforce these community standards and conduct guidelines if violations are brought to our attention. Further, if you fail to adhere to our community standards and conduct guidelines, or any of these Terms and Conditions, we may terminate, in our sole discretion, your use of the Website. User agrees to use the Website only for lawful purposes of ordering city tours from ADT. ADT may disclose any content or electronic communication of any kind: (i) to satisfy any law, regulation, or government request; (ii) if such disclosure is necessary or appropriate to operate the Website; or (iii) to protect the rights or property of ADT, its Users or Providers. ADT reserves the right to prohibit conduct, communication, or content that it deems in its sole discretion to be harmful to individual Users, the Website, or any rights of ADT or any third party, or to violate any applicable law. Notwithstanding the foregoing, neither ADT nor its Providers can ensure prompt removal of questionable content after online posting. Accordingly, neither ADT, nor Providers shall assume liability for any action or inaction with respect to conduct, communication, or content on the Website. -	DISCLAIMERS AND LIMITATION OF LIABILITY. Users of the Website (individually and collectively, "User") expressly agree that use of the Website is at User's sole risk. Neither ADT, nor its employees or Providers, warrant that the Website will be uninterrupted or error-free; nor do they warrant or make any representation regarding the use of the information provided on the Website or the results that may be obtained from the use of the information provided on the Website, or as to the accuracy, reliability, or currency of any information, content, service, or merchandise provided through the Website. ADT does not endorse, recommend, or sponsor and is not affiliated with any individuals or entities listed or linked to on the Website unless that fact is expressly stated. The listing of any individual or entity does not constitute a medical referral of any kind. Users are advised to exercise their own further informed review, judgment, and evaluation in the selection of any and all medical professionals and health information. THE WEBSITE IS PROVIDED BY ADT ON AN "AS IS" AND "AS AVAILABLE" BASIS. ADT MAKES NO REPRESENTATIONS OR WARRANTIES OF ANY KIND, EXPRESS OR IMPLIED, AS TO THE OPERATION OF THE WEBSITE OR THE INFORMATION, CONTENT, MATERIALS, PRODUCTS OR INDIVIDUALS INCLUDED OR LISTED ON THE WEBSITE. TO THE FULLEST EXTENT PERMISSIBLE BY APPLICABLE LAW, ADT DISCLAIMS ALL WARRANTIES, EXPRESS OR IMPLIED, INCLUDING BUT NOT LIMITED TO, IMPLIED WARRANTIES OF MERCHANTABILITY AND FITNESS FOR A PARTICULAR PURPOSE. UNDER NO CIRCUMSTANCES SHALL ADT OR PROVIDERS BE LIABLE TO YOU OR ANY THIRD-PARTY FOR ANY INDIRECT, CONSEQUENTIAL, INCIDENTAL, SPECIAL OR PUNITIVE DAMAGES, INCLUDING, BUT NOT LIMITED TO, LOST PROFITS AND BUSINESS INTERRUPTION, WHETHER IN CONTRACT OR IN TORT, INCLUDING NEGLIGENCE, ARISING IN ANY WAY FROM ANY PRODUCT OR SERVICE SOLD OR PROVIDED ON THE WEBSITE OR THE USE OF THE INFORMATION OR THE RESULTS OF THE USE OF THE INFORMATION PROVIDED ON THE WEBSITE, EVEN IF ADT IS EXPRESSLY ADVISED OF THE POSSIBILITY OF SUCH DAMAGES, OR ANY OTHER MATTER RELATING TO OUR WEBSITE. WITH RESPECT TO ANY DISPUTE IS TO DISCONTINUE YOUR USE OF THE WEBSITE. IN NO EVENT SHALL ADT'S LIABILITY EXCEED THE PRICE YOU PAID FOR A PRODUCT OR SERVICE THAT IS THE SUBJECT OF THE CLAIM. NO ORAL ADVICE OR WRITTEN INFORMATION GIVEN BY ADT, PROVIDERS OR THE LIKE, SHALL CREATE A WARRANTY; NOR SHALL USER RELY ON ANY SUCH INFORMATION OR ADVICE. Under no circumstances shall ADT or any other party involved in creating, producing, or distributing the Website be liable for any direct, indirect, incidental, special, or consequential damages that result from the use of or inability to use the Website, including but not limited to the results from mistakes, omissions, interruptions, deletion of files or email, errors, defects, viruses, delays in operation or transmission, or any failure of performance, whether or not resulting from acts of God, communications failure, theft, destruction, or unauthorized access to the Website's records, programs, or services. User acknowledges that this paragraph shall apply to all content, merchandise, and services available through the Website. In those states that do not allow the exclusion or limitation of liability for consequential or incidental damages, liability is limited to the fullest extent permitted by law. Any product, service, offering, content and material downloaded or otherwise obtained through the use of this website is done at your sole risk and you will be solely responsible for any damage to your computer system or loss of data that results from the download of any such product, service, offering, content or material. Neither ADT, any of our affiliates, nor any of our or their respective licensors, licensees, service providers or suppliers warrant or make any representations regarding the use or the results of the use of the products, offerings, content and materials in the Website in terms of their correctness, accuracy, reliability, or otherwise. No advice or information, obtained by you from our personnel or through the Website shall create any warranty not expressly provided for in these Terms and Conditions. Copyright © American Dream Tour, LLC, 2017. All rights reserved. All materials and contents contained in the Website (including but not limited to the text, graphics, logos, button icons, images, audio clips, digital downloads, data compilations and software), and the Website itself, are copyrighted materials belonging exclusively to ADT [ or its content suppliers] and are protected by United States and international copyright law. ADT enforces its copyright interests to the fullest extent permitted under the law, and shall seek civil and criminal remedies where appropriate, including the remedies provided for under sections 501 et seq. of Title 17 of the U.S. Code. All rights are reserved. AMERICAN DREAM TOUR, ADT, AmericanDreamTourMiami.com, and the related logos and other marks indicated on our Website are the exclusive property and trademarks of AMERICAN DREAM TOUR, LLC, d/b/a American Dream Tour and ADT reserves all rights, including all rights applicable under the U.S. and international trademark laws, including, without limitation Section 1125 of Title 15 of the U.S. Code (Lanham Act Sec. 43). All other trademarks not owned by ADT that appear on this Website are the property of their respective owners, who may or may not be affiliated with, connected to, or sponsored by ADT. You agree to defend, indemnify, and hold ADT and Providers harmless from and against any claims, actions or demands, liabilities and settlements including without limitation, reasonable legal and accounting fees, resulting from, or alleged to result from, your violation of these Terms and Conditions, and your further agree that any violation by you of these Terms & Conditions shall constitute a full defense in avoidance of any claim that you may make against ADT, and that no liability may attach to ADT in case of such violation by you. The Website is created and controlled by ADT, and ADT operates solely in the State of Florida. As such, the laws of the State of Florida will govern these disclaimers, terms and conditions, without giving effect to any principles of conflicts of laws. ADT reserves the right to make changes to its Website and these disclaimers, terms and conditions at any time. 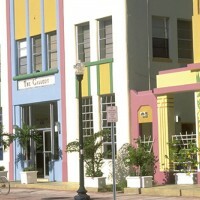 User hereby irrevocably and unconditionally consents to submit to the jurisdiction of the State of Florida for any litigation arising out of or relating to use of or purchase made through the Website (and agrees not to commence any litigation relating thereto except in such courts), waives any objection to the laying of venue of any such litigation in the Florida courts and agrees not to plead or claim in any Florida court that such litigation brought therein has been brought in an inconvenient forum. In any action against us arising from the use of this Website, the prevailing party shall be entitled to recover all legal expenses incurred in connection with the action, including but not limited to its costs, both taxable and non-taxable, and reasonable attorney's fees. ADT reserves the right to make changes to the Website, these policies, and these Terms and Conditions at any time, effective immediately upon the posting on this Website. Please check these Terms and Conditions periodically. In addition, these Terms & Conditions may be modified only by our posting of changes to these Terms & Conditions on this Website, or by signed, written agreement of both parties. Each time you access this Website, whether or not you have ordered any city tours, you will be deemed to have accepted any such changes. If any of these terms and conditions shall be deemed invalid, void, or for any reason unenforceable, that term or condition shall be deemed severable and shall not affect the validity and enforceability of any remaining terms and conditions. These Terms & Conditions are the entire agreement between you and us relating to the subject matter herein. We may assign our rights and obligations under these Terms & Conditions. These Terms & Conditions will inure to the benefit of our successors, assigns, and licensees. The failure of either party to insist upon or enforce the strict performance of the other party with respect to any provision of these Terms & Conditions, or to exercise any right under the Terms & Conditions, will not be construed as a waiver or relinquishment to any extent of such party's right to assert or rely upon any such provision or right in that or any other instance; rather, the same will be and remain in full force and effect. 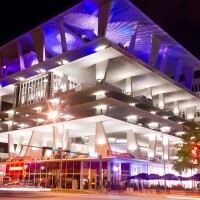 ADT.com does, however, welcome your feedback regarding many areas of AmericanDreamTourMiami.com's existing business. If you want to send us your feedback, and we hope you do, we simply request that you send us an email to info@americandreamtourmiami.com. Please provide only specific feedback on AmericanDreamTourMiami.com's existing products or marketing strategies; do not include any ideas that AmericanDreamTourMiami.com's policy will not permit it to accept or consider. It's just one more way that AmericanDreamTourMiami.com can learn how to best satisfy your needs. Any feedback you provide at this site shall be deemed to be non-confidential. 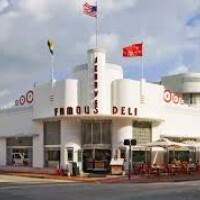 AmericanDreamTourMiami.com shall be free to use such information on an unrestricted basis. 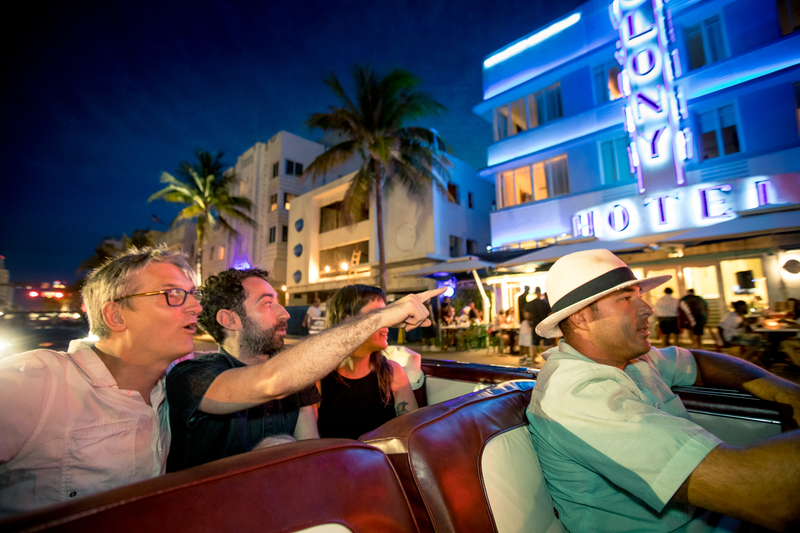 Step back in time in one of our car tours, riding in one of our fabulous classic cars throughout the streets of Miami Beach, touring and enjoying the knowledge of our chauffeur-guide about your car and the City of Miami! Feel the wind in your hair and treat that special person in your life with a classic drive in a spectacular convertible vintage car tour. 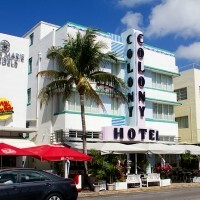 American Dream Tour Miami offers the best classic car tour in beautiful classic convertible antique cars. Book a car tour and experience scenic sightseeing in the comfort of one of our classic cars for the best antique car experience in our convertible car tours. 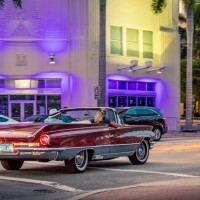 Tour Miami Beach or go beyond and get a memorable Miami city tour as you travel through Coral Gables, Brickell, the Wynwood District, Coconut Grove and Little Havana in roomy antique convertible cars. 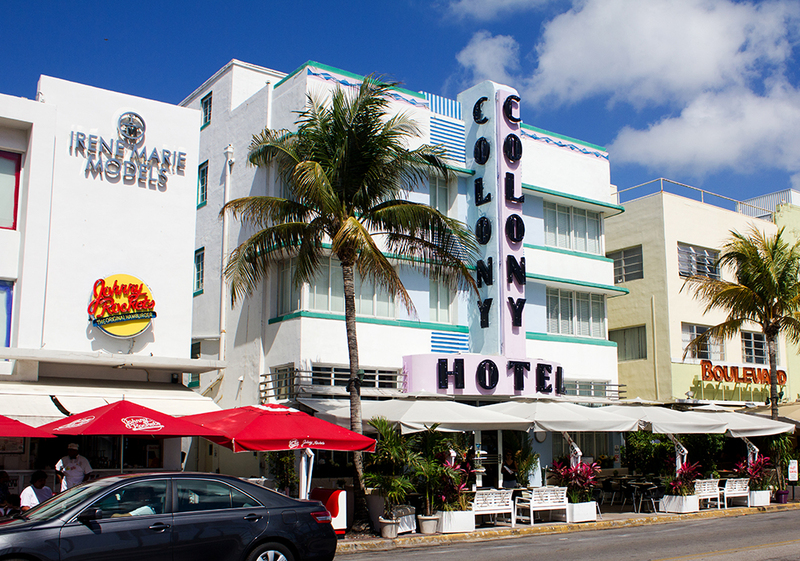 Our car tours are sized to allow you to tour Miami Beach, tour Coral Gables, or do a classic car tour in Miami and enjoy doing car sightsee. 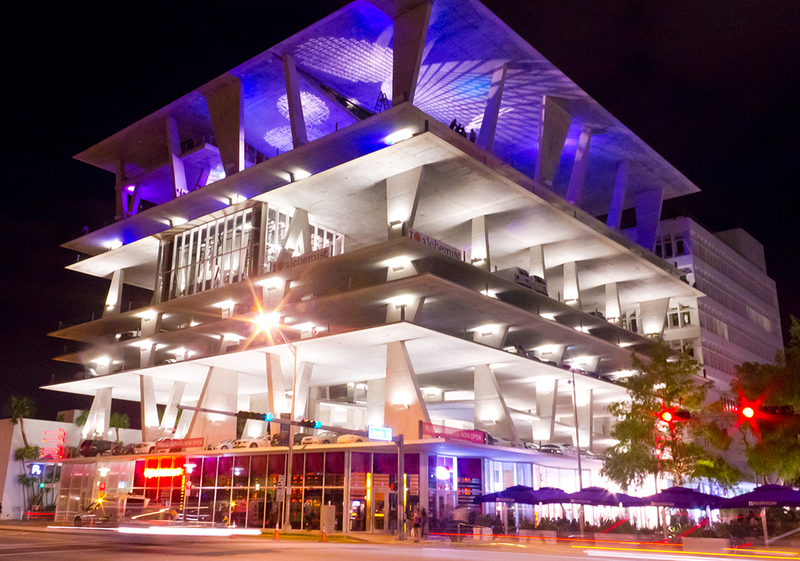 Miami has beautiful areas to explore so allow us to show you how we are the best car tour Miami has to offer. 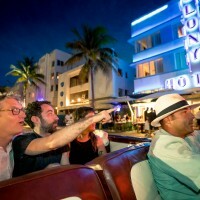 Want to see some of our classic cars in action touring Miami? 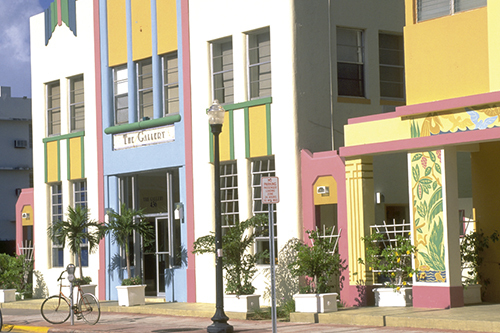 Visit our Gallery page to see cars, tours, landmarks and more! 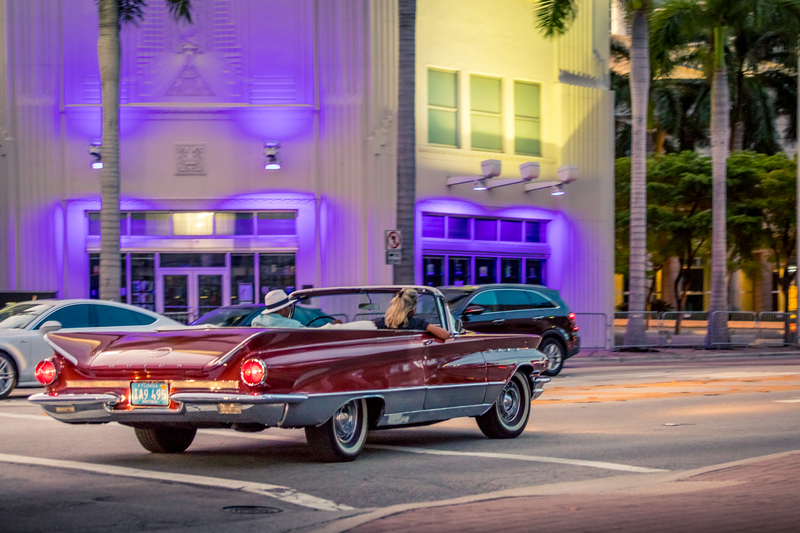 Did you know you can rent a classic car to use in Miami? 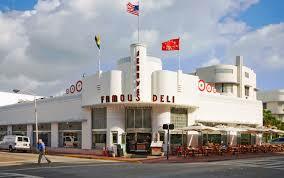 Contact us today to rent a antique car in Miami!